Let’s take a closer look at how interstate insurance sales would impact another important element of consumer-driven health care reform: true insurance. If you’ve forgotten, true insurance is individual insurance. Most people receive their health insurance as the result of a group insurance plan provided by their employer. Some of the benefits of true, individual insurance include portability, better coverage of pre-existing conditions, and greater choice and freedom for consumers. Also, let me be clear on one thing: We want to lift the barriers to the interstate sale of health insurance, but we do not want the federal government to begin laying down regulatory mandates (such as guaranteed issue or community rating) on insurance. We believe that the regulation of insurance remains the duty of state legislatures and regulators, not the federal government. Whereas the federal government has the power to remove barriers to commerce among the states, we do not believe that it has the power to regulate insurance sales in each individual state. Increasing market competition by allowing Americans to purchase health insurance across state lines will lead to lower costs, greater choice, and better quality of care. Representative Paul Broun’s (R-GA) Patient OPTION Act is just one of several conservative bills that will allow Americans to purchase health insurance across state lines. It’s an essential piece of the conservative plan to repeal and replace ObamaCare with affordable, consumer-driven, patient-centered health care. 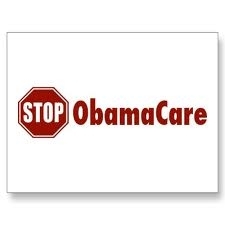 In order to learn more about ending ObamaCare, check out our “Five-Point Plan” for full repeal! this information is well worth looking everyone. Outstanding tips. I will certainly be sharing this with all my friends! https://www.webhostingonedollar.com/ Thanks for sharing valuable info. In the entire support series of the microsoft windows 10 help support we can see more help tools which are best service http://gethelpwindows10.com provider for the windows 10 tech support. I am very thankful and want new points for the consider about the special authority website. Hmm... instead of having one regulating entity you have 50. Insurance companies will move to the state with the least regulations and will take over other insurance companies and create monopolies. I just see the regulations confounding each other and creating just a greater degree of beurocracy. Our entire health care system is highly inefficient and needs to be overhauled. NOT JUST INSURANCE.